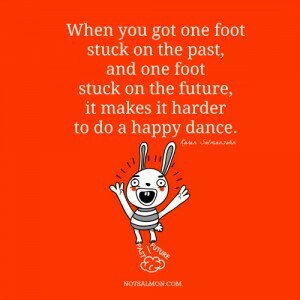 It’s time to stop getting caught up in the past and future – and enjoy your time here right smack in the present! And I’m here to help! Below are 6 simple things you can do to make yourself happier – starting right now! First I will give you tools to get clear on all the benefits of living happily in the present moment. 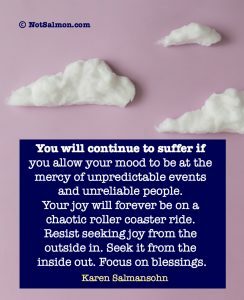 Plus, you’ll also find some tips to create a do-able plan to move forward into a happier future – and feel confident that you’re capable of creating the life you want for yourself. 1. Ask yourself what you presently appreciate about your life. Start journaling. Begin by making a list of everything and everybody you love in your life – the people, places, hobbies, and experiences, etc. Each day try to write down 5 new things you’re newly grateful about having in your life. Force yourself to always try to brainstorm up 5 new and very different things. Eventually you will create a long list of invisible blessings. 2. 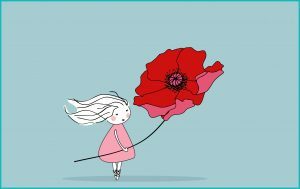 Accept that some aspects of life are a bit scary – and that you can’t control everything that happens. Make a list of what you know you can control. Put the majority of your attention on the controllable aspects of your life. Try to focus only 20% on your fears and the uncontrollable stuff (so you’re honest with yourself about the pain in your life). Then focus the majority of this remaining 80% of your time on what you can control. Spend some time brainstorming up solutions to problems and do-able action steps. 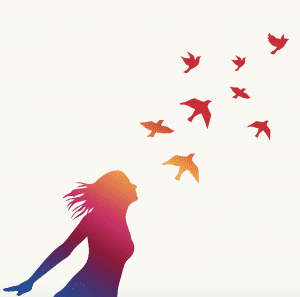 This article will help you to let go of obsessive thinking about the past and future. This article will help you to become more mentally strong. 3. Get out a calendar. Create a step by step plan for moving forward to a scary goal you might be avoiding. Make sure your plan has small steps. For example, “do 15 minutes of X” – or “write 5 pages of Y” etc..
Studies show people are more likely to do a scary new habit if it’s made ridiculously simple, temptingly easy and painlessly quick to do. Here’s an article which explains the importance of writing down the steps you want to take – and how to do this! Here’s an article with 3 sure fire tools to help you reach your goal(s)! Oh -and – don’t wait until you reach your goal to feel good about yourself. 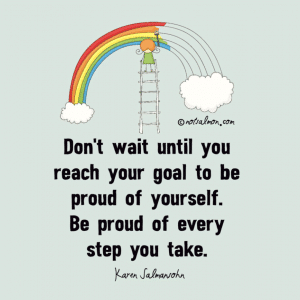 Be proud of every step you take. 4. Create a Pinterest Page – filled with images of all the beautiful aspects of the life you want to live! Practice spending time visualizing yourself living the life you want for yourself – so you become excited about your present and confident about the future you know you can create. 5. Recognize you’re never too old to create the life you want! Stop feeling like life and love have passed you by! I started my family late in life! You can read about it here. Plus I helped my mom meet a new amazing partner after my father passed away. She was in her 70’s at the time! Here’s an article on 28 benefits to finding a partner later in life. Here’s an article about someone who became a multi-millionaire in their 60’s! Here’s an article on how to enjoy life after 50. 6. Develop a meditation practice. Regularly sit and breathe for 5 to 10 minutes in the morning. Need help learning how to meditate? 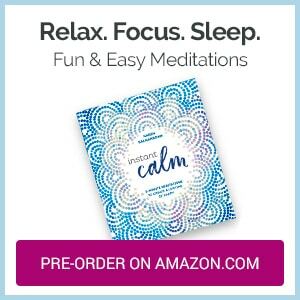 Check out my book Instant Calm – which offers simple and fun sensory meditations. 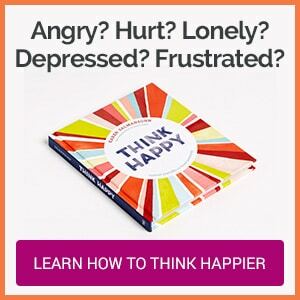 Learn how to master your thoughts – so you can master living mindfully in the present. 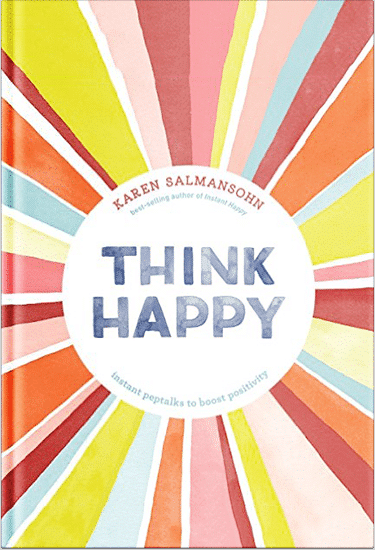 Need further support to think happier?